Online comment can be informative or misleading, entertaining or maddening. Haters and manipulators often seem to monopolize the conversation. Some comments are off-topic, or even topic-less. 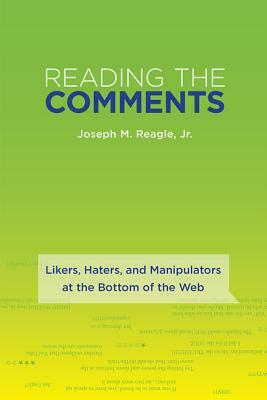 In this book, Joseph Reagle urges us to read the comments. Conversations "on the bottom half of the Internet," he argues, can tell us much about human nature and social behavior. Reagle visits communities of Amazon reviewers, fan fiction authors, online learners, scammers, freethinkers, and mean kids. He shows how comment can inform us (through reviews), improve us (through feedback), manipulate us (through fakery), alienate us (through hate), shape us (through social comparison), and perplex us. He finds pre-Internet historical antecedents of online comment in Michelin stars, professional criticism, and the wisdom of crowds. He discusses the techniques of online fakery (distinguishing makers, fakers, and takers), describes the emotional work of receiving and giving feedback, and examines the culture of trolls and haters, bullying, and misogyny. He considers the way comment--a nonstop stream of social quantification and ranking--affects our self-esteem and well-being. And he examines how comment is puzzling--short and asynchronous, these messages can be slap-dash, confusing, amusing, revealing, and weird, shedding context in their passage through the Internet, prompting readers to comment in turn, "WTF? ?" Joseph M. Reagle, Jr. is Assistant Professor in the Department of Communication Studies at Northeastern University and the author of Good Faith Collaboration: The Culture of Wikipedia (MIT Press).